- to Lodz Wladyslaw Reymont Airport: (www.airport.lodz.pl). - or to Lodz Kaliska train station. - Take either of the trams: 9A, 9B, 12A, 12B, 13. - Get off the tram (after three stops) at "Kopcińskiego" stop. - The center is a four-minute walk from the stop. - Please, see the map and schedule explorer. 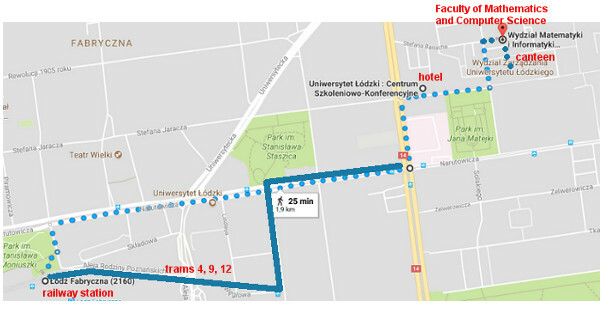 The Faculty is a five-minute walk from the UŁ Training and Conference Center. - Please, see the map.